The Nigerian army has released an official statement detailing how troops of 222 Battalion in conjunction with operatives of the Department of State Service, Rivers State Command tracked one of the members of the killer criminal gang, Austin Agulegbu the Chief Security Officer (CSO) to late Don Waney and the 6th in Command of the criminal gang before killing him. 1. In compliance with the Presidential directive to fish out and bring to justice the perpetrators of the heinous killings of 23 innocent residents of Omoku in Ogba/Egbema/Ndoni Local Government Area (ONELGA) of Rivers State, on 1st January 2018 by the notorious Don Waney criminal cult group, troops of 222 Battalion, Nigerian Army in conjunction with operatives of the Department of State Service Rivers State Command tracked one of the members of the killer criminal gang, Austin Agulegbu the Chief Security Officer (CSO) to late Don Waney and the 6th in Command of the criminal gang. 2. After a painstaking effort by the security agencies, Austin was traced to his hide out at a location along New Sapele Road, Obiaruku in Ukwani Local Government Area (LGA) in Delta State in the early hours of 14th February 2018. He was among the killer squad that killed 23 worshippers returning from the Cross Over vigil on 1st January 2018 at Omoku, Rivers State. Reliable information also has it that he and other gang members still at large were already making plans to attack security agencies locations, churches and schools within Rivers State as a reprisal to the clamp down on their remnants now at large. Agulegbu was however shot in an encounter with the security operatives and died before reaching the hospital. 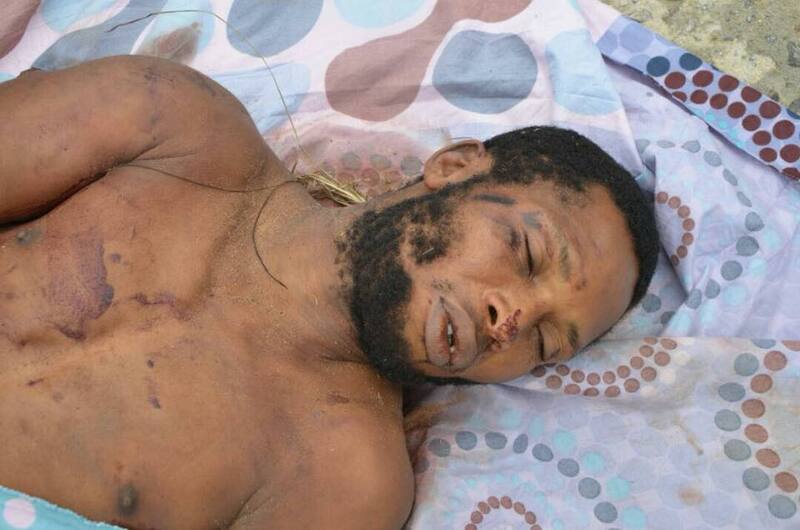 His body has been brought to Port Harcourt and handed over to the Rivers State Police Command. 3. You are kindly requested to disseminate this information to the general public through your medium.